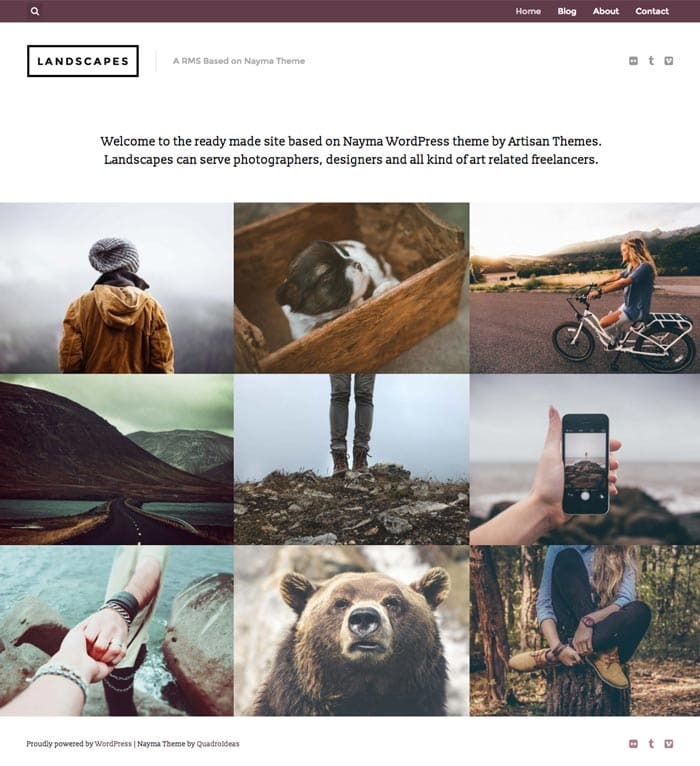 Based on Nayma theme, Landscapes can serve photographers, designers and all kind of art related freelancers. 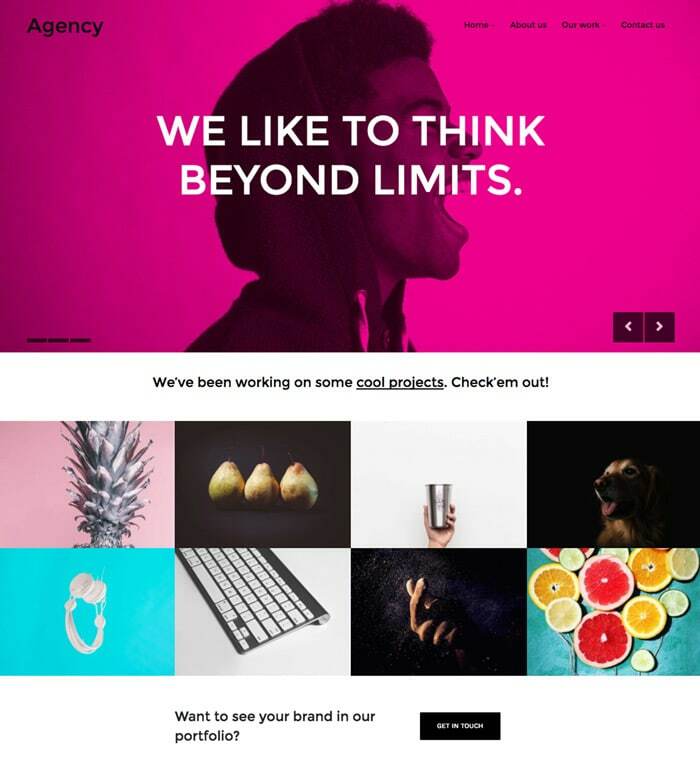 Uses a portfolio section as the homepage content, a bold blog page, a about page with a custom sidebar and a gorgeous contact page. 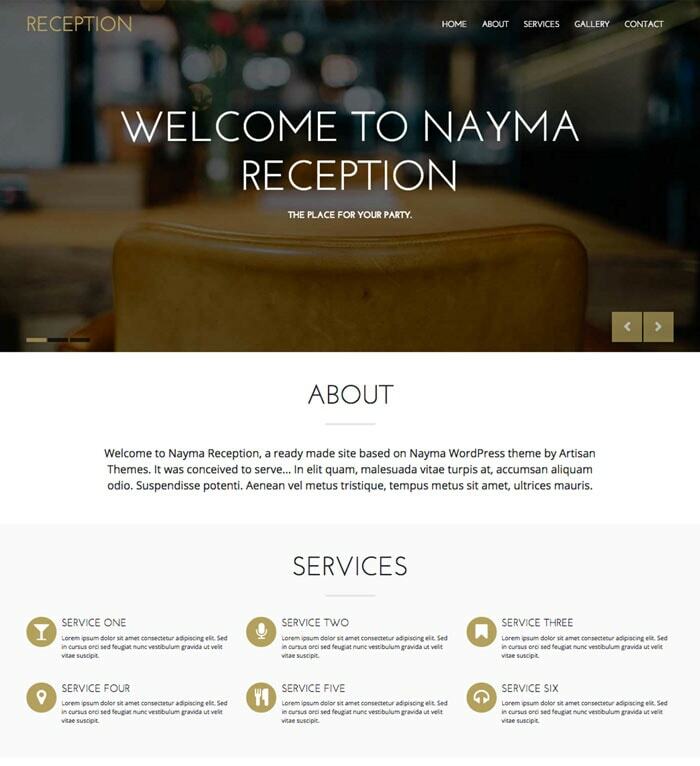 Purchase Nayma theme to get this site automatically built for you. 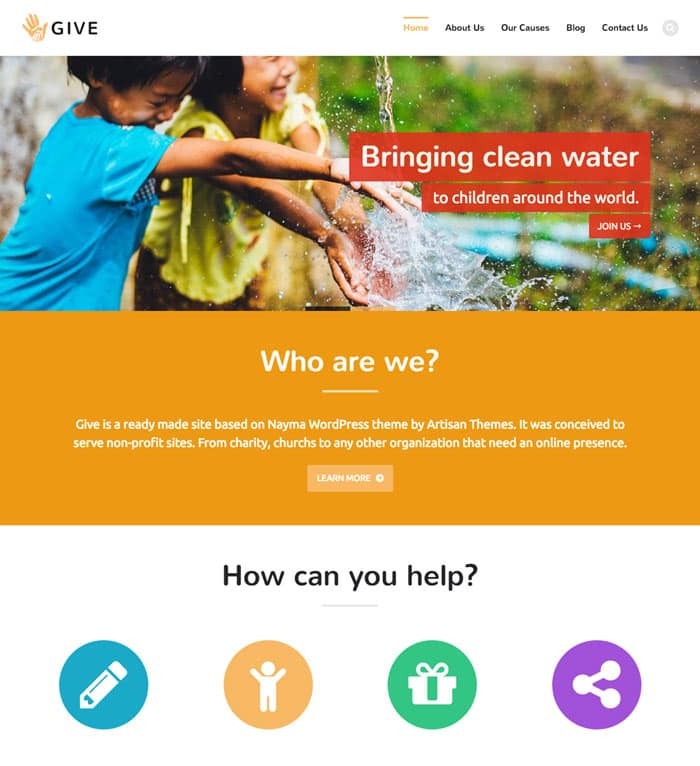 Nayma is coded with WordPress best practices in mind. Enjoy compatibility within your WordPress ecosystem, always. 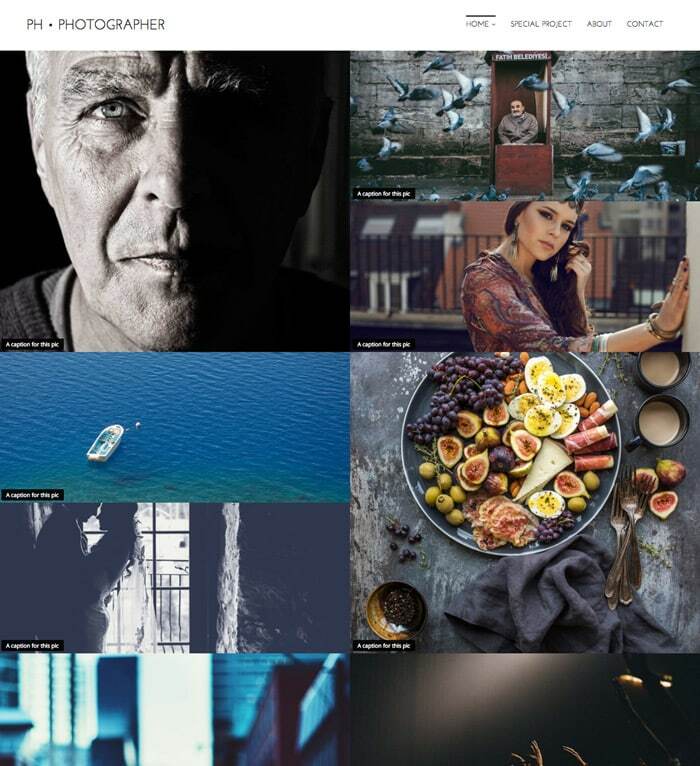 Once you purchase Nayma theme, you can install this Artisan Site (and others) by using the theme's Artisan Sites importer. 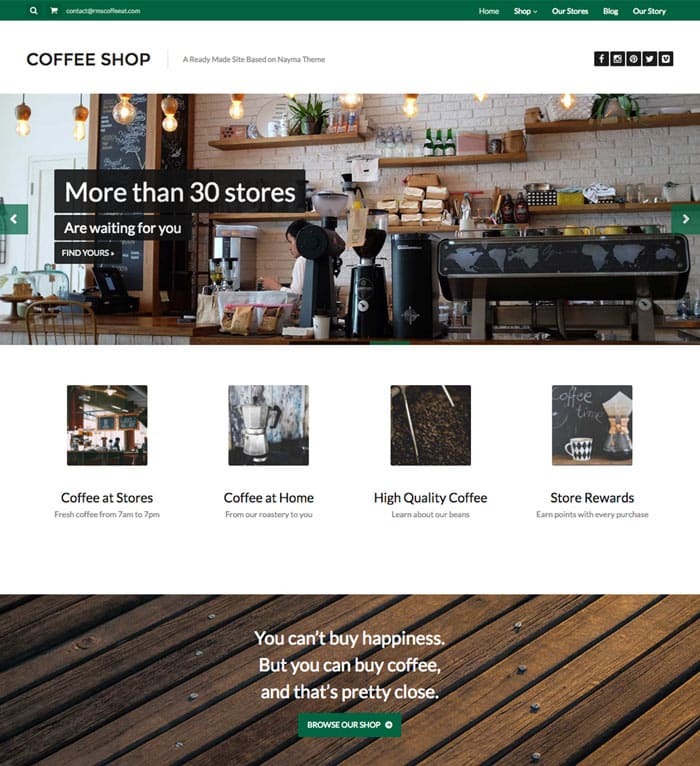 It'll take you a couple of clicks and your site will look exactly like the preview site. Absolutely! 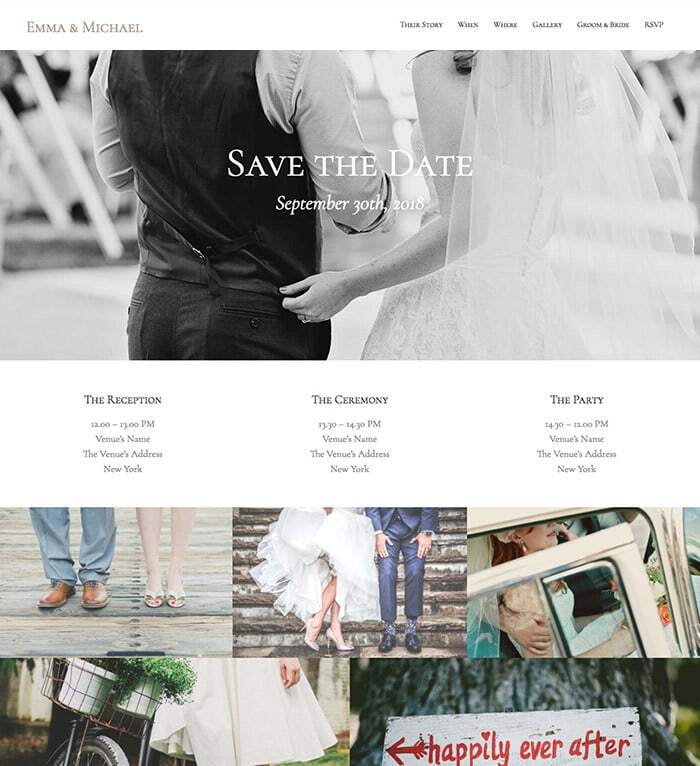 This Artisan Site is a pre-built configuration + content of the theme which you can create yourself too. And, as it's built with Nayma you can modify it and re-build it to make it look whatever you want. This package contains a license for Nayma theme with all its Artisan Sites and a year of free updates and premium support. Plus, you'll be part of our Slack community where we help each other grow our web, brand and business efforts.